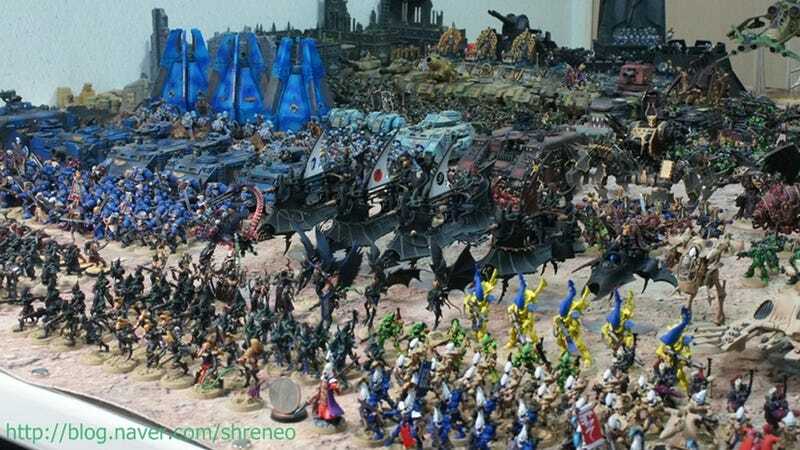 This is what a 700-piece Warhammer 40K (also known as Warhammer $40K) set looks like, all painted carefully by hand. The owner of the collection, a Korean Warhammer enthusiast, probably went through lots of pain to complete this set, but it's definitely worth all the time and money. It looks incredible.